We’ve spent the last year developing programs and opportunities for you to get involved in a variety of ways. 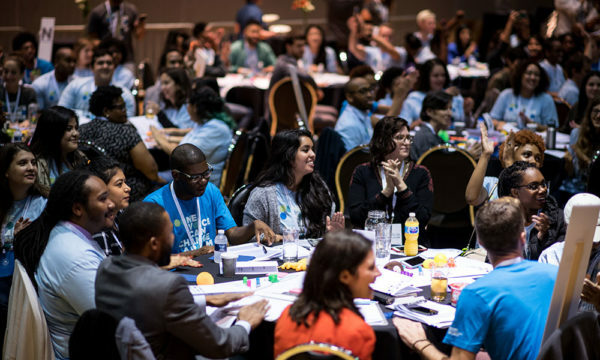 From civic leaders who are already making an impact in their communities to people looking for a place to start, we invite you to explore our work and dive in. We’re building a team that anyone can join. And we hope you’ll be a part of it. Meet the 2018 class of Fellows—20 rising stars from around the world who are working alongside their communities to solve important public problems in creative and powerful ways. Learn more about the Community Leadership Training Day now. We recently closed applications for the MBK Community Challenge, a national competition to support MBK communities to scale their impact on boys and young men of color. Obama Foundation Scholars at the University of Chicago will study public policy, and Scholars at Columbia University will spend a year working with professors and practitioners to find tangible solutions to global problems. 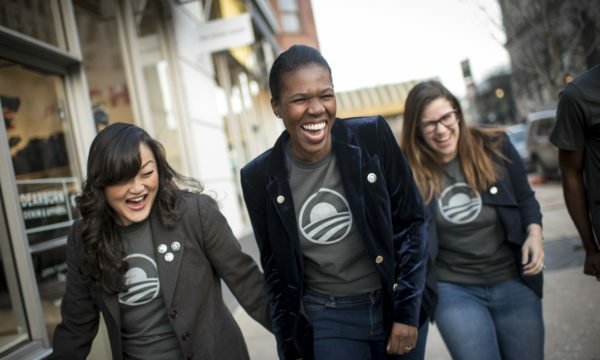 Obama Foundation Training Days energized young people – particularly those who are not yet engaged in civic life – and served as the beginning of their journey to make a difference. Explore the Community Leadership Corps, a program that will offer online and in-person training to develop leadership skills and expand networks. Explore the Leaders: Africa program that brought together 200 emerging leaders from across the continent to explore new ways to take on the biggest challenges in their communities. Get on the list to volunteer at events, community gatherings, and other Foundation happenings. See the latest job openings at the Foundation. Explore our internship program in Chicago or Washington, D.C., and stay tuned for updates on when applications will open for the next class! Ten years ago you helped make history — now help us write it. 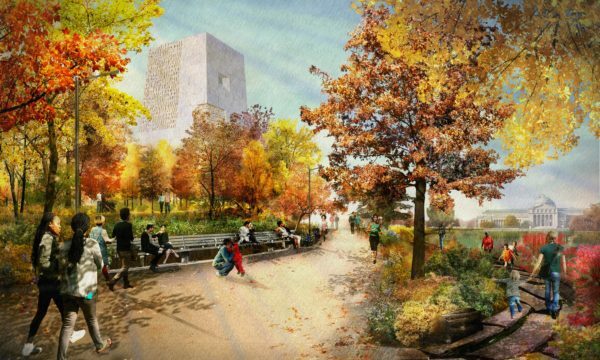 Stay up to date with the construction of the Obama Presidential Center and contribute to the Chicago Plan Commission process. Join your community in supporting the Obama Foundation and the Obama Presidential Center. Join the ongoing conversation that’s shaping our work. Launch a fundraiser that will strengthen our work in Chicago and around the world to inspire and equip young people to change their world.